d.need by date: latest date to receive your guest book. Brides! 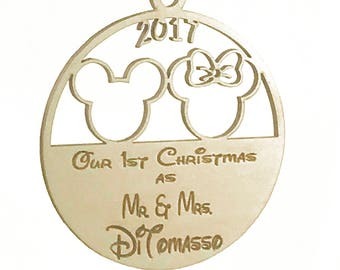 Is your wedding Cinderella or Disney Themed? Then this listing is for you! This is a Cinderella Fairytale Themed Wedding Castle Guest book that is personalized especially for you. Every guest book that White Diamond Affairs makes is handmade and is made to order once purchased. 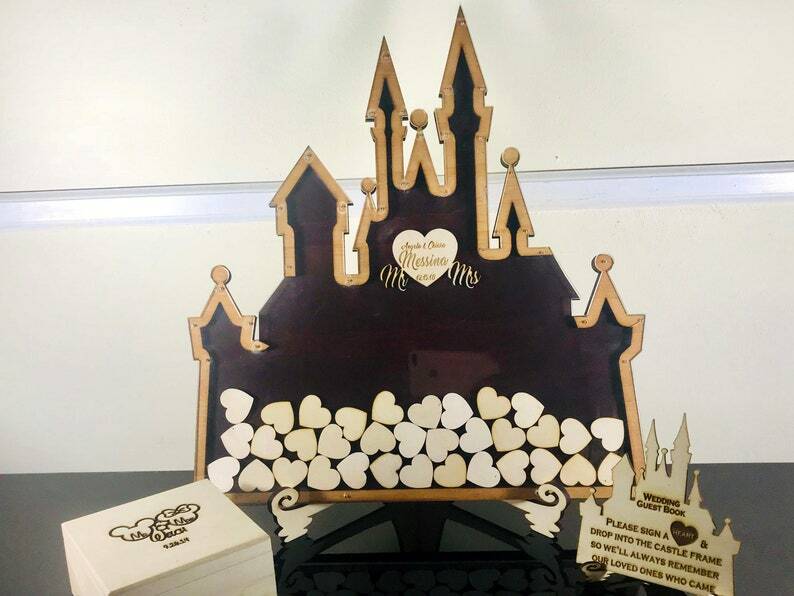 Your guests sign a heart and drop it into the castle slots on each side. This is in lieu of signing a page in a book, then after your wedding is over, you put the book away, never to look at again. With our alternative castle guest book, you can hang it on your wall, or have it freestanding on a mantle or shelf after your wedding and admire all the loved ones who came to help you celebrate. Castle guest book is laser cut from Baltic Birch plywood and clear acrylic. The signature hearts or Mickey heads are made from Baltic birch plywood. Wooden hearts or heads measure 1.1"-1.3" inches, depending on castle size and amount of hearts or heads needed. We also take requests for custom orders. Please feel free to contact me with your ideas and questions. 1. Choose quantity of hearts/heads you need (one for each guest). We accept Credit Cards, Etsy Gift cards, and Paypal for order payment. I went with the white background and gray trim. I love every little part of this guestbook! 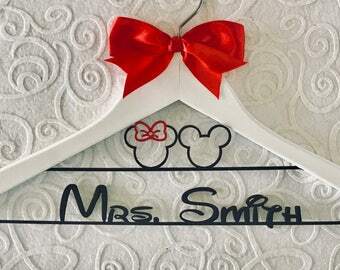 Disney Castle Wedding Alternative Guest Book Drop Box, Personalized, Wedding Guestbook, Domestic shipping FREE - Limited Time Only! We needed our guest book in a rush due to us finding the item so close to our wedding date. Lemme tell ya, this was an amazing experience! We got it with 2 days to spare well within the normal time limits. We are so happy with how this turned out. Wonderful results!!! !